The DJI Mavic Pro is my personal favourite drone,with its 4K camera and technologically advanced features,the Mavic Pro is a joy to fly.It comes with several intelligent flight modes including a new gesture control mode and obstacle avoidance technology for a more safe flying experience. With its OcuSync transmission system,you can stream live video footage from over 4 miles away and it is compatible with DJI Goggles for a more immersive flying experience. DJI have just released the Mavic pro, its small, compact and lightweight and full of cool features. My review of the Mavic Pro will demonstrate just why the Mavic is so popular and how DJI keep ahead of the competiton. No sooner had GoPro announced when their first compact drone, the Karma, would be released, DJI one-upped them and released their own compact but powerful drone, the Mavic pro. Not only did DJI get a head start in this drone war, the Karma drone had to be recalled when it was finally released near the end of 2016. So, the anticipated competition between the two drones never materialised and much to GoPro’s dismay, the Mavic Pro has been a huge success. 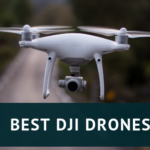 Did we expect anything less from the juggernaut that is DJI? Releasing technologically advanced beautifully designed drones is becoming DJI’s speciality. In hindsight, maybe GoPro should have treated DJI as equal partners when they were close to working with each other. Anyhow, the Mavic Pro is beautiful, compact and very powerful. It’s small enough to fit in a rucksack but more than powerful enough that flying it will seem like child’s play. So, let’s find out what makes this drone stand out from the rest. Before I review the Mavic Pro, I should say DJI have always impressed me with their drones and this review will reflect that. That does not mean I will not point out the flaws, as no drone is perfect, although DJI are the closest in getting there. Also, the Mavic is my personal favourite drone, it’s not the most powerful in DJI’s arsenal of high-end drones, but its compact design and colour scheme make for a great looking drone. This is as small a drone you will find on the market that also comes with many of the powerful features present in other DJI drones. In fact, feature wise, there is little difference between the Phantom 4 and the Mavic Pro. What makes the Mavic more desirable is its compact design and metallic grey colour scheme. Aesthetically it looks much better than any other drones currently on the market, there are much more powerful drones out there, but the Mavic pro’s architecture is just amazing. One of the annoying things about hi-tech drones is their size makes them difficult to travel around with. However, the Mavic Pro measures 83mm×198mm×83mm when folded up and weighs only 743g (when the gimbal cover is included). It’s no bigger than a medium sized water bottle, this is thanks to its ingenious folding design. The front legs fold in on the side whilst the back legs are folded into the body. Folding them in and out requires little effort, don’t worry about breaking them, the drone has been built for this purpose. The 4k camera and 3-axis gimbal are protected by a glass ball, this little design feature gives it more of a futuristic look and compliments the whole design of the drone. As you can see from the image below, the remote control also follows the aesthetics of the drone, its small, compact and has a folding design. Folded up it looks like that of a large pager (to the people brought up in the smartphone world, the pager was how millennials like me used to communicate), anyhow there are two clamps that unfold from the bottom that firmly secures your smartphone and two antennas that unfold on the top. The controller, whilst being small, nevertheless still has many of the control functions that are on the other DJI remote controllers. There are one touch buttons to record videos and take images, dials to control the gimbal and camera settings, return home button and a small LCD screen that displays vital system data. 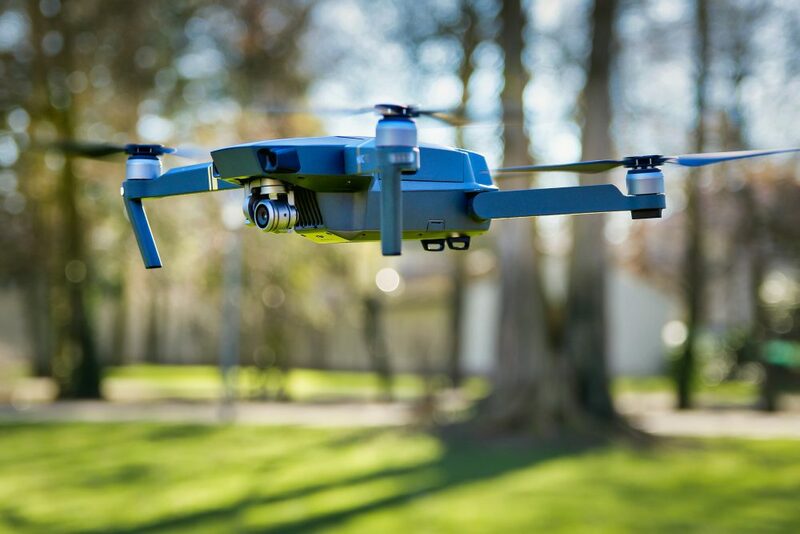 Although you can fly this drone with just the controller, for a truly immersive experience, you should really make use of a smartphone and see for yourself the power of DJI’s GO App. The DJI GO App is probably the most feature rich drone app currently on the market. Which makes sense since DJI are the creators and they produce drones that are feature rich and easy to fly. The App displays a host of data and lets you control the camera and gimbal. The App also comes with a geofencing feature, this will make sure that the drone does not fly in no-fly areas. You can also edit your photos and videos within the app and they are constantly improving it by making it more intuitive and adding extra features. With its new OcuSync transmission system, which is different to DJI’s Lightbridge technology used in the Phantom Range, the range for this controller is a cool 4 miles. Not the best in the DJI arsenal but still a lot better than most. This technology is also responsible for the HD video feed straight to your device and you can even live stream to YouTube. 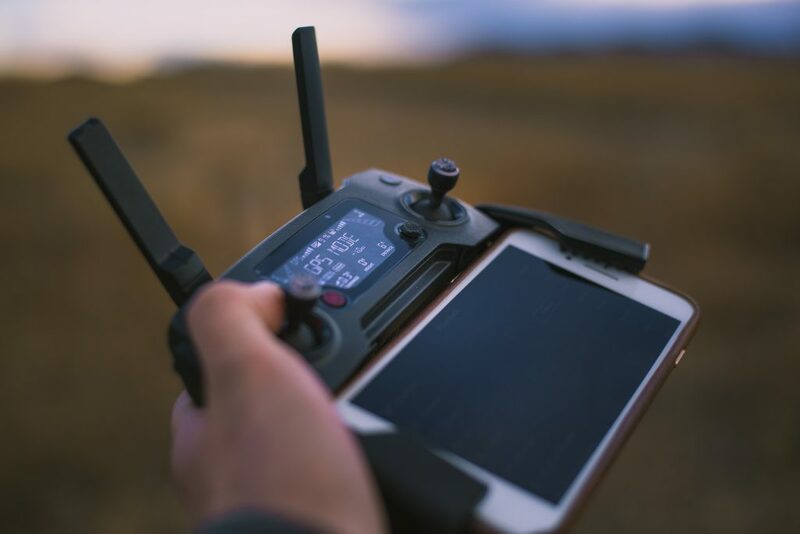 You also have the option of flying the drone with your smartphone or tablet. As long as you have the DJI GO App installed, your good to go. 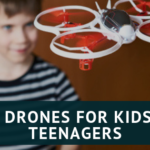 You just need to switch the toggles on the drone from remote to Wi-Fi. 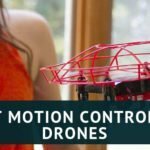 If you have controlled a drone with just your smartphone/tablet, it’s pretty much similar except you do not have to tilt your device to maneuver. If you do use your tablet or smartphone, the controls on the screen are pretty similar to how the remote control works. You also get all the features of Go App, the only downside is that the range is extremely limited. You’ll probably get around 50 meters, a bit more if it’s a good day. However, this option is really for a quick flight or if you want to take a quick picture or video footage. One of the main attraction of this drone is its 4k camera. 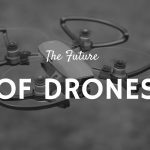 DJI have more or less cornered the market in producing great drones for aerial photography, and the Mavic Pro is no different. The camera is stabilised by miniature a 3-axis gimbal that gives you the ability to shoot distortion free images and video footage. The camera comes with ½ inch CMOS sensor that captures images in both RAW and JPEG at 12MP and comes with an integrated lens equivalent to focal length of 28mm. You can shoot video footage in a variety of modes including cinema 4K @24 fps, 4K @30 fps, 2.7K @30 fps and FHD @96 fps. All these features make for a camera drone that has the power to take professional grade images and video footage. The video quality in 4K is truly amazing, just look at the footage below. The image quality is just as sharp and crisp and with the DJI GO App, you can edit both video and images within the app. The Mavic Pro comes with one of the most advanced obstacle avoidance systems, it has 4 cameras (2 forward facing and 2 downward facing) and 2 ultrasonic sensors. With the help of 24 powerful processors, the obstacle avoidance system creates a 3D world of its surroundings within it. This tells the drone of all the obstacles that are within the range of its sensors.. The obstacle avoidance system is available on all intelligent flight modes and the return home function. Along with the obstacle avoidance system, the drone also has dual redundancy for the IMU and the compass. If the system notices any irregularity with the data provided by any of these components, it will switch over to the backup for the correct reading. These features make for a safer flying experience with the chances of crashing or system failure being minimised. There is a downside to this compact design, its ultra-lightweight frame will be hard to fly in rough weathers. So be careful if you decide to be adventurous and fly this drone when the elements are not so kind. Having said that, flying this drone under decent conditions is a joy and with its autonomous flight features, taking high-quality images and video footage will not be difficult. The Mavic pro’s advanced vision positioning system lets it hover indoors and places where GPS/GLONASS signals are weak. 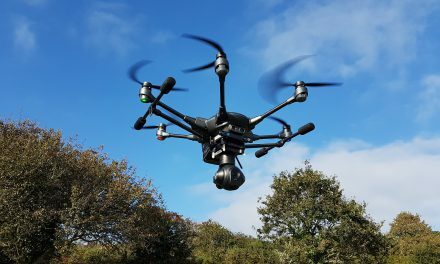 The positioning system works just as well outdoors but be careful of strong winds, it holds well in light winds but any strong gusts and the drone becomes tough to control. The official flight time for this drone is 27 minutes but you should expect something slightly less. If you make heavy use of the camera the flight time will be reduced further. This is why I always advise people to purchase extra batteries for any drone you buy but especially the technologically advanced ones. 20-25 minutes’ flight time is never enough. Especially when the drones are feature rich and you want to test it out to its full potential. As with all DJI and high-end drones, the Mavic Pro comes with a few autonomous features. These autonomous features make it easier for beginners and for those who wish to take high-quality aerial photography. TapFly – Users can tap on the screen and the drone will go to the designated destination. Trace– you can either trace the subject from front or behind at a constant distance. Spotlight – Keep the camera focused on the subject, whilst flying the drone wherever you want. Profile – Track the subject from an angle and distance from the side. Gesture Mode – You don’t need the remote control for this, using this mode in the GO App will let you take selfies. This is probably one of the most innovative features in this App. You just have to gesture towards the drone and it will take a selfie. This mode only works when the forward vision positioning mode is active. Tripod mode – This mode reduces the drones speed to 2.2 mph, it’s great for indoors where the speed wouldn’t be an issue. This mode is really helpful if you want to video in tight enclosures or narrow spaces because the speed is reduced so are the sensitivity of the controls. Terrain follow mode – A new intelligent flight mode for the Mavic Pro, when activated, the Mavic Pro will record its current height follow and the person with the remote controller. Its main attraction is that can ascend on a slope, the angle of which should not be more than 20°. Great feature for mountaineers and any other type of climbing. The Mavic Pro is one of the best camera drones on the market and for its size, it certainly packs a lot of features. 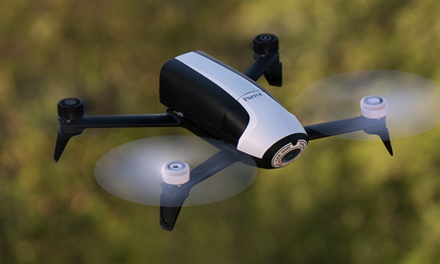 Its compact and foldable design makes it a great drone to travel with. Between the GoPro Karma and the Mavic Pro, I will choose the latter, not only because of its aesthetics and features but DJI have never had a drone that they had to call back. 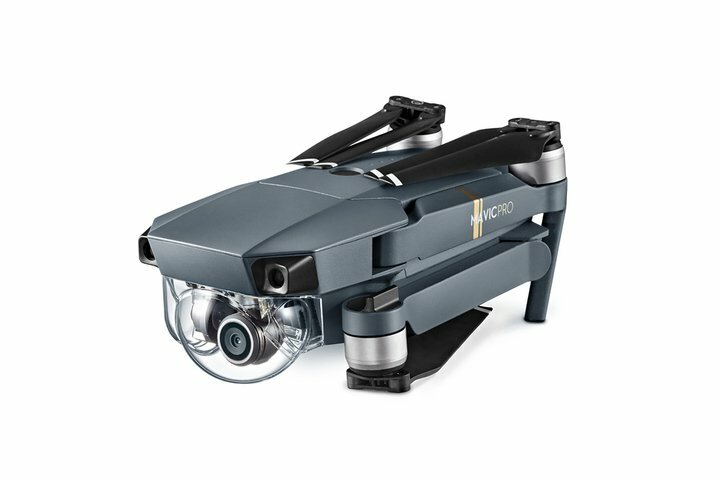 If you want a drone with powerful features like that of the Phantom range but not as big, then the Mavic Pro is that drone. DJI are dominant for a reason and the Mavic Pro proves once again why that is so. Thank you for this very detailed review. I have had my eyes on the DJI Mavic for a minute and this article just confirmed for me that it is a must have. I dabble in photography, so the 4k camera is a major win for me. Would love to use this to capture some of the hidden gems across Jamaica. 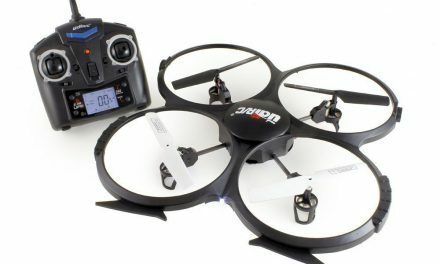 Is there another drone you would recommend for someone looking for something in a lower price range but with a high res camera? Thanks for stopping by and reading my review, with regards to an alternative to the Mavic, I would recommend 3 drones. 3.Parrot Bebop 2.0, doesn’t come with a 4k camera but can still shoot in HD 1080p, also available from Amazon for under $400. Must be amazing living in the Caribbean, sure would love to visit one day.